Who was the man in the locket? This question had been puzzling me for at least ten years when the answer hit me like a ton of bricks this past week. A large locket was handed down in our family on my mother’s side. The locket had belonged to my grandmother’s brother, Francis Celestino Brent Jr. – known to us as Uncle Tino. The inscription inside the locket has his name and the city where he lived, Pensacola, Florida. In the back part of the locket there is a photograph of my great grandmother, Mary Ella Shuttleworth Brent, of Pensacola, Florida. 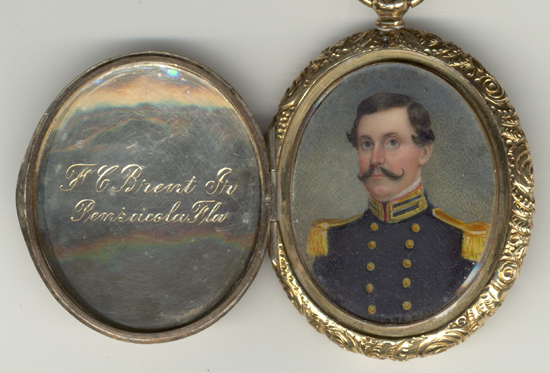 In the front of the locket, across from the inscription, is a picture – a copy of a painting – of a young man in a military uniform. There was much discussion when we first came across this locket about who this man was. At first we thought it might be Mary Ella’s father-in-law, Thomas William Brent. 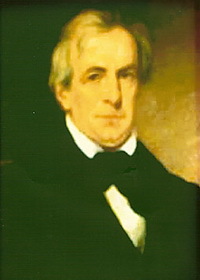 Thomas William Brent was born in 1808 in Washington D .C., the son of Col. William Brent. Thomas was in the United States Navy – a career officer – until resigning his position when the Civil War began and he joined the Confederacy. 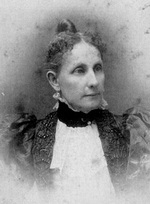 Thomas had settled in Pensacola, Florida, where he married Merced Gonzalez, a daughter of Celestino Gonzalez, a Pensacola native of Spanish descent. Thomas William Brent’s father, Colonel William Brent, was also in the military as a young man in the District of Columbia militia in the early 1800s. Born in Virginia in 1775, he served as Captain of the Cavalry in 1807 in the nation’s capitol. He also served as a secretary to President Thomas Jefferson for a short time before holding the position of Clerk of the Courts in Washington D.C. for many years. During the past many years I had looked on the internet to find U.S. Navy uniforms that matched the uniform in the painting, with no luck. I shared the picture with another relative who had done extensive research on Thomas William Brent and he said it was definitely not him and it was not his father either. Finding the uniform of the D.C. militia led to more dead ends. The locket went back in a safe deposit box. Out of sight, out of mind. I did devote a page on my website to the locket and the mystery man. Then this past week, I looked again at the man and this time I really looked at him. He had a dimple in his chin. He had curly hair. He had a nose which pointed down and a handlebar mustache. Both Thomas William Brent, and his father, William Brent, have straight hair. Thomas William has no dimple on his chin. His father might have – difficult to tell. But there was someone else who did. And he had a mustache as well. This was Colonel William Louis Shuttleworth, Mary Ella Shuttleworth’s father and my great great grandfather. And, he had curly hair! 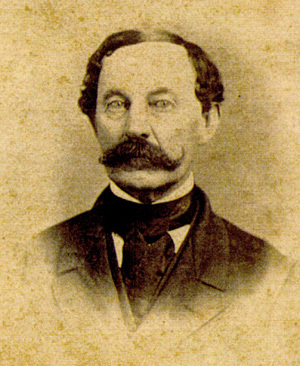 William Louis was born in 1812 in New Jersey. His mother’s name was Mary, his father is unknown. In 1831 he enlisted in the U.S. Navy, serving as a ship’s carpenter for several years. 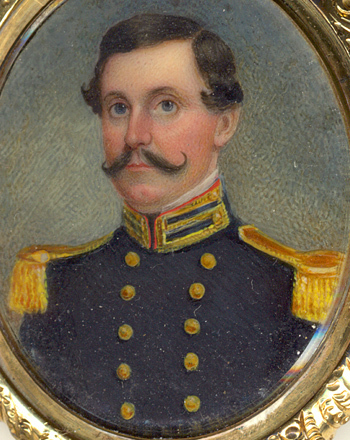 In 1839 he resigned his position in the Navy and joined the U.S. Marine Corps as a 2d Lieutenant. One of his assignments took him to Pensacola, Florida, where he met and married Clotilda Brosnaham in 1843, the daughter of a local physician, Dr. John Brosnaham, and his wife, Maria Josefa Martinez. They had three children before Clotilda died in 1850. He then married Clotilda’s half sister, Amanda Brosnaham, in 1851. They had three children also, before Amanda died in 1858. His oldest child was Mary Ella Shuttleworth, my great grandmother. William Louis was often at sea. 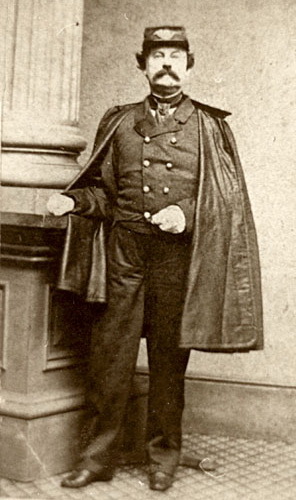 He served in the Mexican War and in the Civil War and was often stationed at the Brooklyn Navy Yard. He died in Brooklyn in 1871, not long after he retired. He is buried in Greenwood Cemetery in Brooklyn, New York. His first wife was buried in Catskill, New York, next to her paternal grandparents. His second wife, my great great grandmother, Amanda, was buried in Pensacola in the Brosnaham plot in St. Michael’s Cemetery. I am in the process of finding out whether the uniform in the picture would be a Marine uniform from that time period. If my guess turns out to be right, then the mystery man would be Colonel William Louis Shuttleworth. This would be the only picture we have of him as a young man. 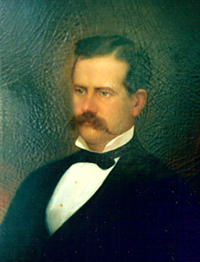 For more on William Louis Shuttleworth and his family: http://www.annefield.net/shuttleworthlinks.htm. This entry was posted in Brent family, Shuttleworth family and tagged Thomas William Brent, William Brent, William Louis Shuttleworth. Bookmark the permalink.